Khatu Shyam Hotel provides the luxurious and traditional facilities to the visitors, Radhey ki Haveli also organizes kirtans and bhajans, a number of singers came from India to show their devotion to Khatu Shyam Baba. Kahtu Shyam is the place where the number of visitors came across every corner to show their devotion on Shyam Baba, hotel in khatu provides the same environment to the devotee by organizing Ekadashi bhajan and kirtan event. On the other hand, Khatu Shyam Hotel also provides the royal and luxurious rooms faculties for visitors. There are so may type of categories of rooms like sapphire, sapphire premium, silver, gold, diamond, platinum, and suits. All these rooms give a different type of environment to the visitors. Hotel in khatu also provide the restaurant facilities to the visitor, the restaurant is also divided into two sections ‘fine dine section’ and ‘bajot section’. Fine dine section represent the north Indian food services and on the other hand bajot section represent the Rajasthani thali in traditional bajot sitting area. Both are represented as Rajasthan’s colorful culture. Rajasthan’s best hotel in khatu who show the beauty and tradition of Rajasthan and organize the wedding and event for the people. Wedding and event organize by the traditional hotel in khatu represent the Rajasthan tradition. On the other hand, Radhey ki Haveli also provides the online reservation of rooms which help the visitors to book the room in advance with the help of the web application. 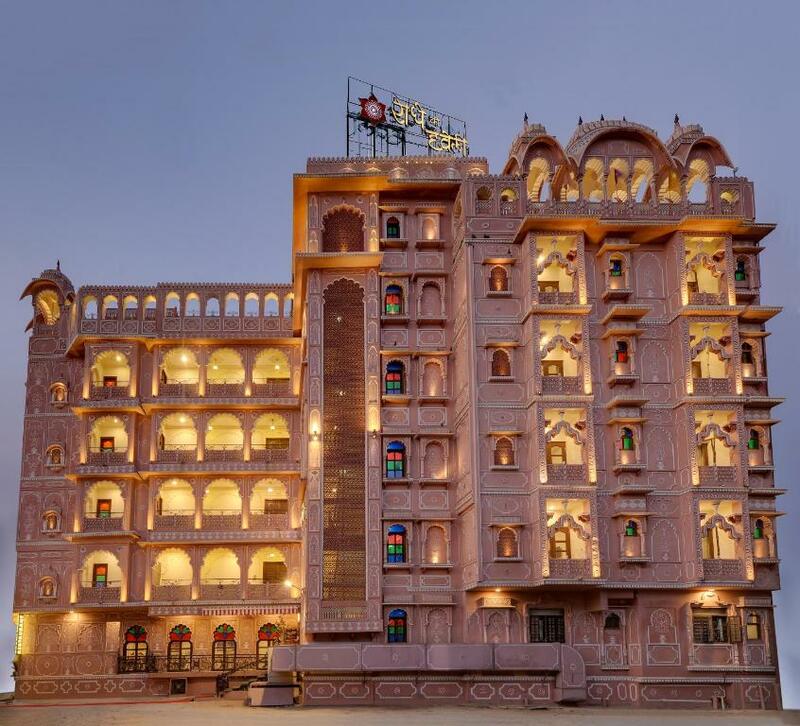 There is no better idea than booking the room in advance at the heritage hotel in the Rajasthan. Heritage hotel proved the best of everything with full comfort and royal facilities. Radhey ki Haveli makes the visitor feel the royalty and luxuries of the hotel. Heritage hotel is the best hotel in khatu which offer stay fill with ultimate royalty to both leisure and traveler from all around the world. The visitor will get a change feel the same grand and royal life.